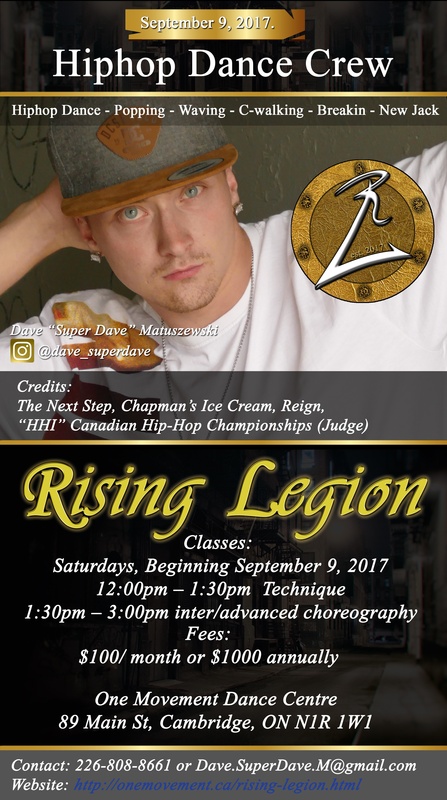 Rising Legion is the first “Hip-Hop Dance Crew” in the tri-city region created by, Dave “Super Dave” Matuszewski, to specifically focus on technique. It is designed for those individuals who are seeking more training with their Hip-Hop dance, and to intensify their capabilities as students, dancers and performers. Rising Legion is all about working together to help build confidence with one another and taking your training to the next level. The crew focuses on a few different street styles, some of which include: Popping, Waving, C-Walking, Breakin, New Jack, and Hip-Hop Dance Choreography. Rising Legion also offers multiple workshops throughout the year which is also open to anyone interested outside of Rising Legion. So be sure to watch for those events as you won’t want to miss out. ONE Movement is excited to have Dave and his program at the Dance Centre. However, he didn’t have an outlet until 2007 when he began dancing at Davenport Dance Project. After a few years, Dave continued to follow his passion at Blackout Dance Productions, where he trained with Matt Cangiano. Eventually, dancing at a studio was not enough, Dave’s hunger for knowledge lead him to Ambitious Movement in 2011, a Hip-hop based dance and Entertainment Company lead by choreographer Ambitious Anthony Smith. Family Channel’s “The Next Step,” Toronto’s Public Health commercial, Chapman's Ice Cream commercial, "Reign" from the CW Network and a few music videos. He’s also showcased his talent on stages such as World of Dance (Toronto), We Day, Toronto’s Choreographers Ball, and the Bazaar Dance Showcase just to name a few. Dave was also a member of ONE Movement's Professional Dance Company for two season, helping to create change in our Community schools using his Hip Hop skills to help teach students about Bullying and Building Self Esteem. 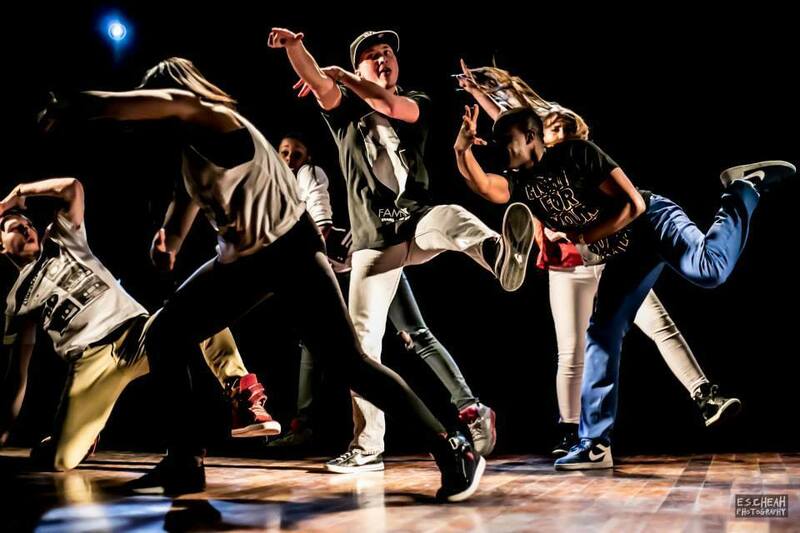 “Canadian Hip-Hop Dance Championship.” Dave is trained in different styles of Hip-hop but has trained intensively in waving, popping, tutting, breaking and house. He specializes in hip-hop choreography, Hip-hop technique and tumbling. Dave loves to teach his kids all styles and slow things down with a nice R&B tune from time to time to teach control, passion and emotion.